Hello, hello, good people of the Internet! I am back with another hop! Will it reach the top? I should stop? OK, I'll stop. The rhyme is strong in me today, don't you think? But let's continue from before embarrassing myself. 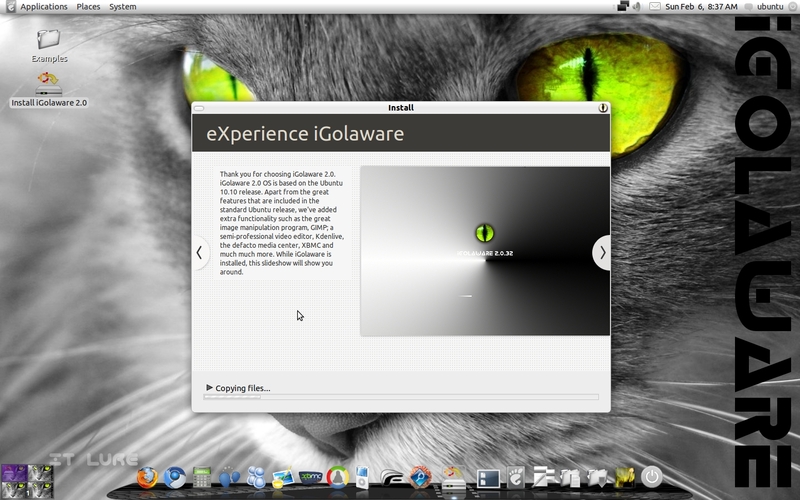 I will be taking a look at yet another Ubuntu-based distribution, called iGolaware 2.0. Quite a catchy name, right? No? Well, it might not sound like much, but hey, look where UBUNTU is today. 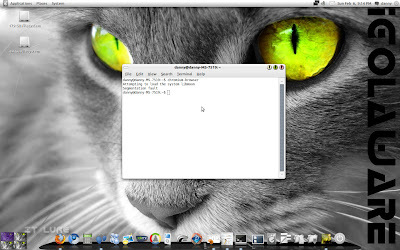 There are some OSes out there that make you feel like /home right from the Live environment. I feel obliged to inform you that, for me, iGolaware is one of those and if I will seem a bit biased towards it, you'll know why. :D I'll try not to, but hey, just in case, there's my disclaimer. It's the first time I've heard about this distribution so I had zero expectations. OK, I'm lying, I was expecting a sloppy remix of Ubuntu, a distro that was simply made out of boredom and had no future ahead of it. 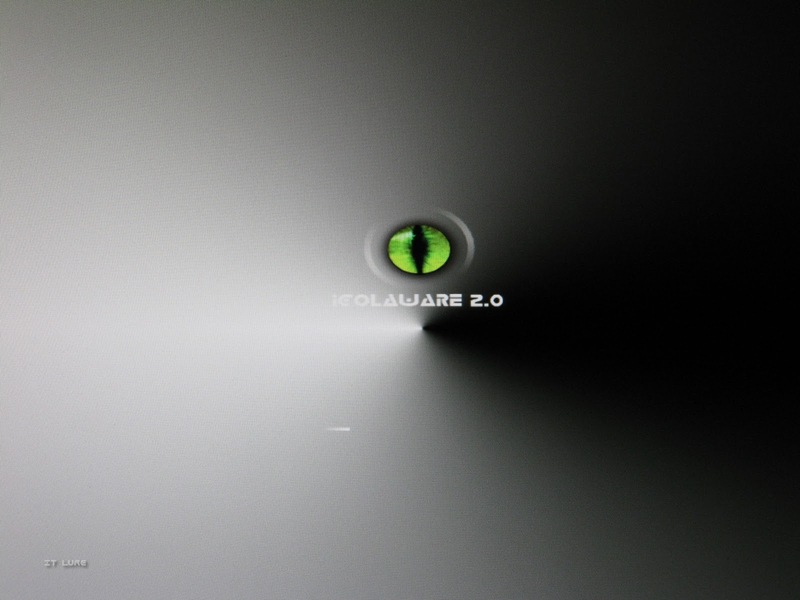 But surprise, surprise, iGolaware is quite a serious project included in the portfolio of quite a serious IT consulting/solutions-provider startup in Netherlands. The image file is ~1.2 GB in size, but is being pushed through quite a fast server, as it reached my computer with speeds of 4-5 MB/s. Bonus points for that! In case you're experiencing slow speeds, there's a handy sourceforge mirror on the download page. 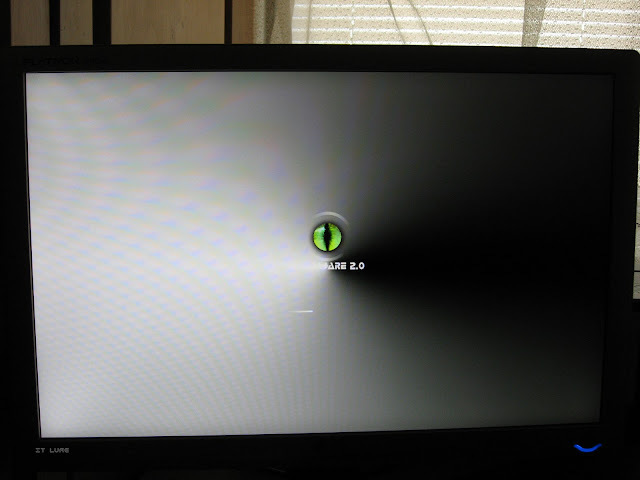 Booting the Live DVD is reasonably fast and the desktop welcomes you with effects like transparency and smooth animations, even though the proprietary graphics driver is not installed. I don't know how the developers managed to do that (Nouveau maybe? ), but I like it. Sure, it is a bit on the slow side, but nothing that will sting your eyes. Plus, I was only there for installation purposes. I summoned the Install icon on the desktop and rapidly clicked my way through the steps to reach the customized slideshow that showcases some of iGolaware's features. I also had plenty of time reading them all, as the installation took quite some time - around 12-15 minutes. Rebooting the computer was the final step, but - and this is an Ubuntu bug - the reboot button was nowhere to be found. Quick solution? Fire up the terminal and sudo reboot. You don't even have to type in a password. So, the DVD popped out but there was no invitation to press the Enter key in order to shutdown the system. Of course, I knew what I had to do, but newbies might get confused and wait in fear for the system to do something. So, get that message there! The GRUB menu was surprisingly set at a very high resolution, but unfortunately, there was no color background image. I was happy to see that the PAE version of the kernel was installed, so I could use all of the 4GBs of memory inside my machine, even if iGolaware is 32-bit. Yay! The first boot got me worried as I reached the desktop in more than 1 minute, quite a lot by today's standards. It turned out it was only a first-boot issue, as the time was cut to half during the following restarts. The Plymouth animation is very very beautiful, but the first part of the "iGolaware" text is quite invisible as it's white text on white background. Check the image below. 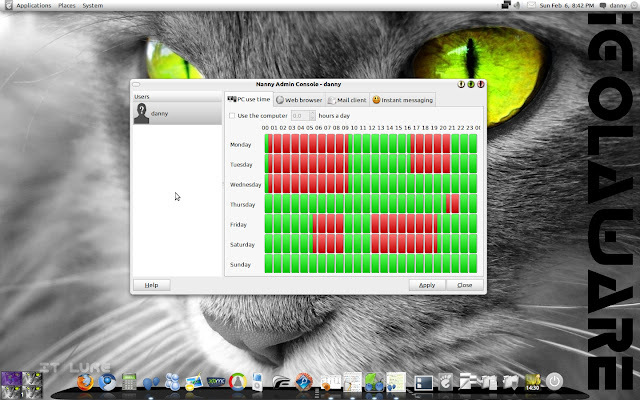 Installing the Nvidia drivers would ALWAYS break Plymouth and I've seen this happen in countless Ubuntu derivatives. 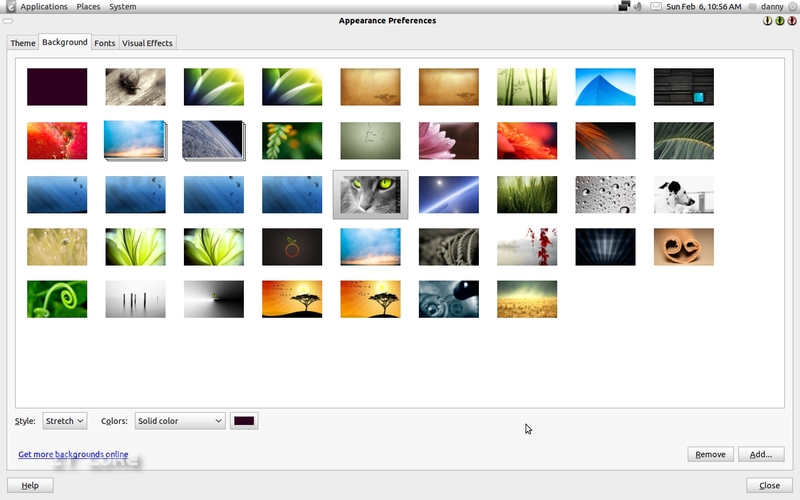 They all put in quite a bit of work into creating eye-pleasing animations only to be replaced by an ugly, low-res purple Ubuntu boot screen. This did NOT happen in iGolaware! Not only that, but the white text was also moved out of the way of the white light, so it's now quite a pretty sight. The smooth, discreet login music adds to the pleasant experience of firing up iGolaware. 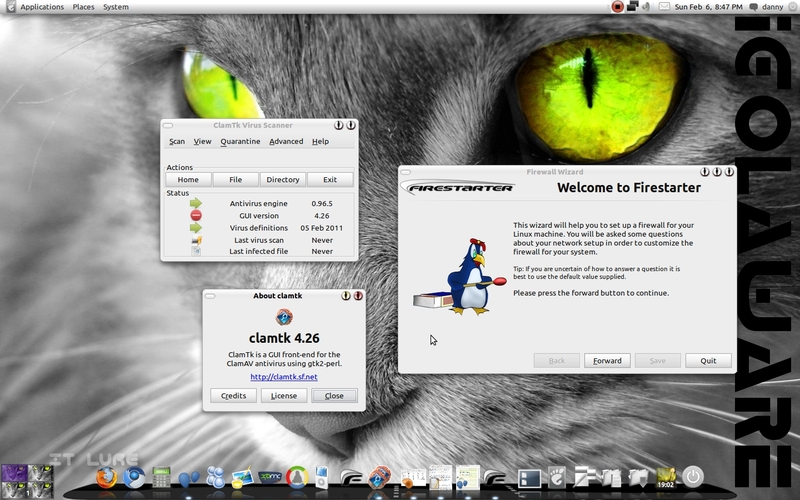 While the top of the screen is filled by the usual gnome panel with the Menu, clock, volume controls, etc, the bottom is glorified by a nicely configured Cairo dock. Of the cool additions, I have to mention the Rhythmbox applet which shows a realtime song timer on top of album art images and the amazingly easy-to-use and functional "Drop and Share" one. It's just as easy as it sounds. Grab a file or some text, drag it on top of the icon and in a few seconds a link will be in your clipboard, ready to be pasted wherever you want. Love it! 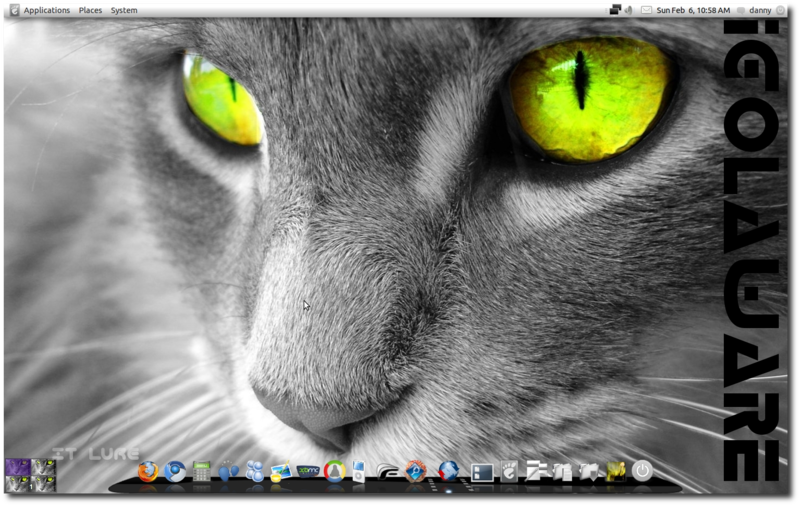 What I also like is that every minimized app has a nifty preview right inside the dock so you'll quickly know where to click. On the left of Cairo, there's a 4-way workspace switching applet complete with preconfigured titles for better organization: 1 is Work, 2 is Game, 3 is Video and 4 is Chat. I think this really encourages people to make use of this great functionality. What I like to do with every GNOME distro is to set the font resolution to 89 dots per inch, as the default 96 one makes everything a bit too big for my tastes. To do that, go to Appearance --> Fonts --> Details and change the number next to Resolution to whatever suits you best. Wowey, look at the paragraphs go and still not a word about the included software bundle. iGolaware is quite rich in this respect. Out of the bat, there are two browsers installed: Firefox and Chromium, so the majority of users will automatically be happy. What some of them (including me) will not be happy about is the lack of Pidgin, which, though closely followed by Empathy, still beats it hands down. Why? 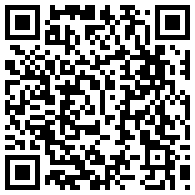 First of all, FILE TRANSFER and second, useful plugins that I grew accustomed with. 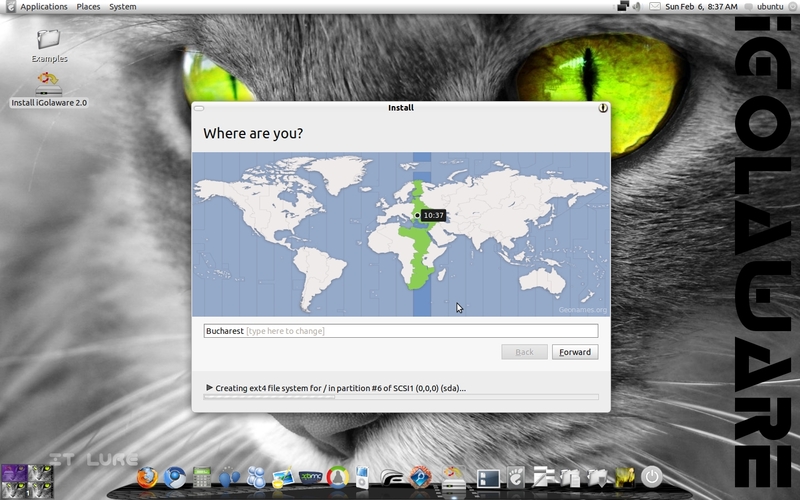 Windows Live users will be thrilled to see THE definite Linux alternative, aMSN, included by default. 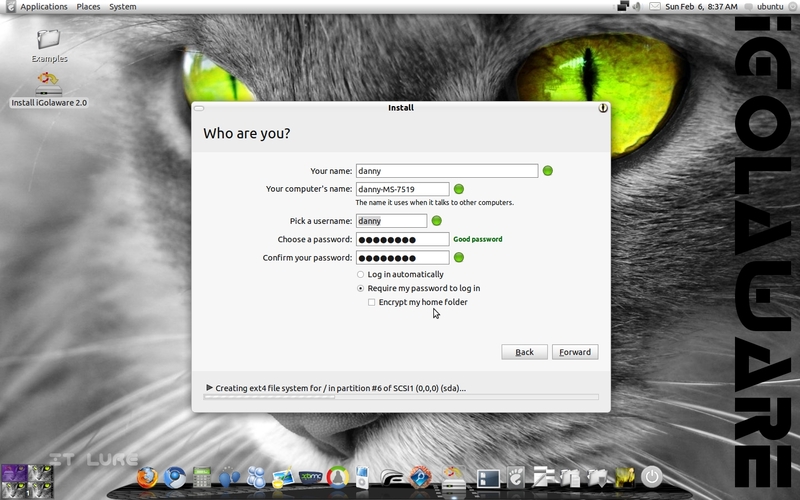 The ClamTk Virus Scanner is only useful to accommodate Windows users. ;) There is also Firestarter, the best open source firewalling solution, so if simply running Linux doesn't make you feel safe enough, you can create quite the stronghold. 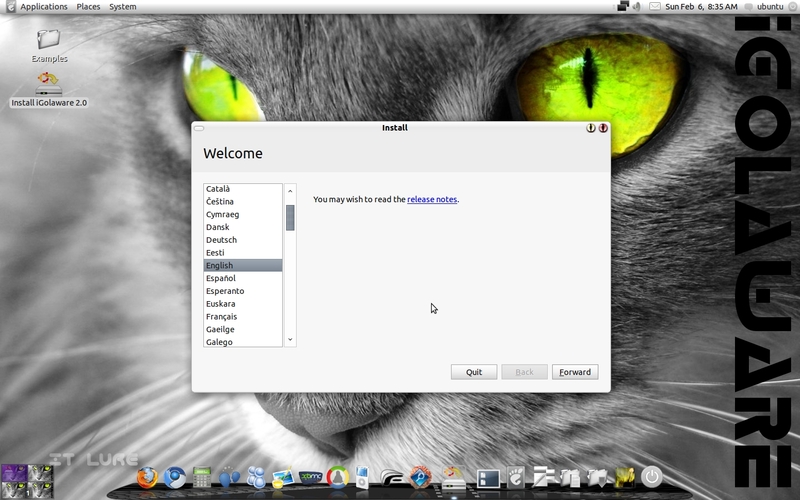 The lack of a functional iPod manager can be a solid argument for music-freaks refusing to switch to Linux, so iGolaware included gtkpod to fill that need. Kdenlive is in the Sound & Video category as well and can help you create quite amazing video projects (hopefully there will still be hair left on your head once you're done, as crashing is still a "feature" in Kdenlive). To put the cherry on top of iGolaware's multimedia capabilities, XBMC Media Center is ready to serve you all sorts of content, be it images, video or music, through a stylish interface. Plus, Flash, MP3 and popular video formats are recognized and played by default. 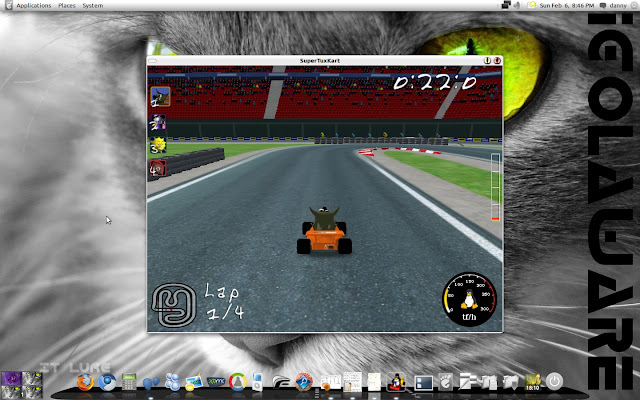 The Gaming section is not particularly well covered, but it was certainly not forgotten, as Supertuxkart was added alongside the usual solitaires and puzzle-type time-wasters. I only wanted to test if the game actually works and I ended up finishing three quick races before convincing myself to hit the quit button and continue writing this, so yeah, it's definitely a fun game. Speaking of gaming, Playonlinux, a great Wine frontend, was also included to help with the installation of Windows-only apps and games. 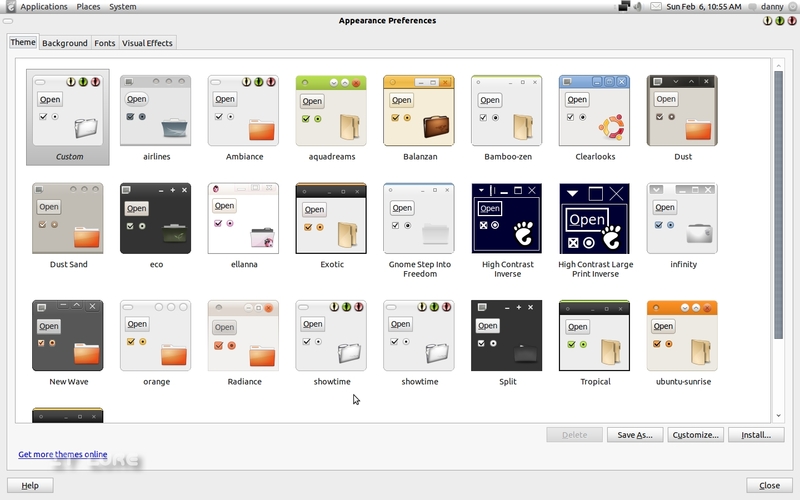 The Graphics section puts the GIMP back on duty and also brings Inkscape to help out. The included Shotwell is a good app to organize all your photographs. 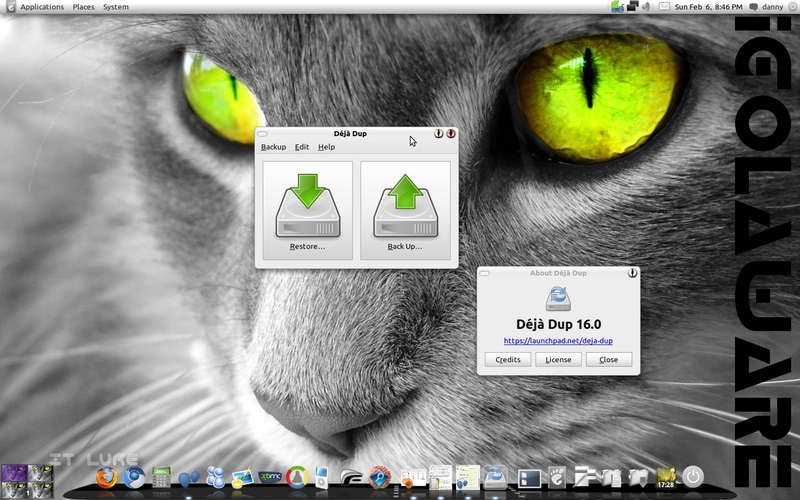 Deja Dup is the best "backup for dummies" (yes, I can use it too!) tool and I think all distros should include this or some other backup program by default. Users should be "pushed" into adopting a safe and stressless digital lifestyle and backing up is mandatory. Disk space is cheaper and cheaper nowadays, so grab an external HDD and make a copy of all your valuable data. 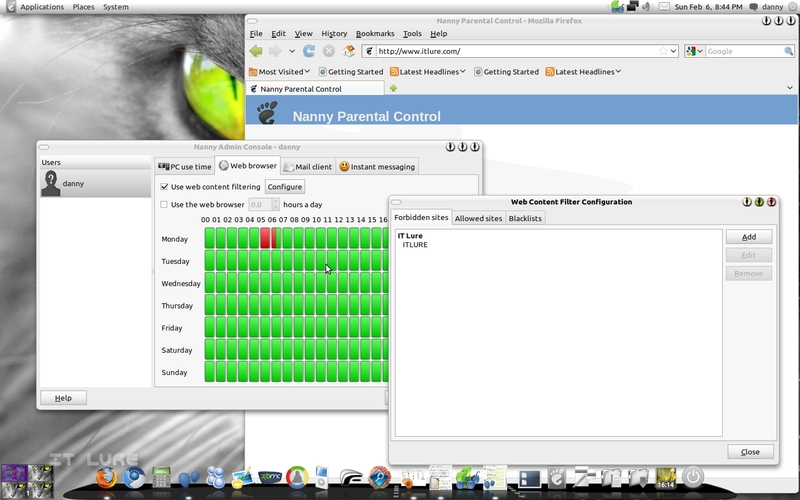 If you're a parent and aren't able to directly control your kid's computing sessions, the Nanny Admin Console does the job for you. Parents can set an overall "PC use time" or be more specific and limit Web Browsing, Emailing (through the desktop client - who uses that anyway? :D) or Instant messaging. 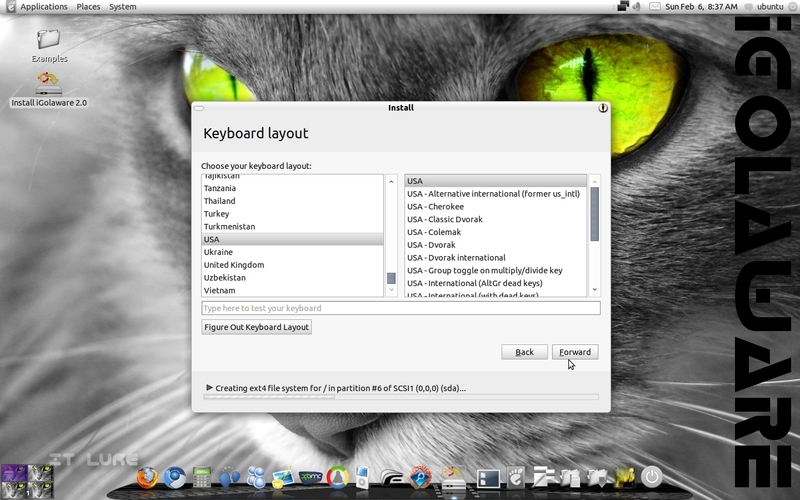 It's extremely simple to set up, as you can see from the screenshot below. 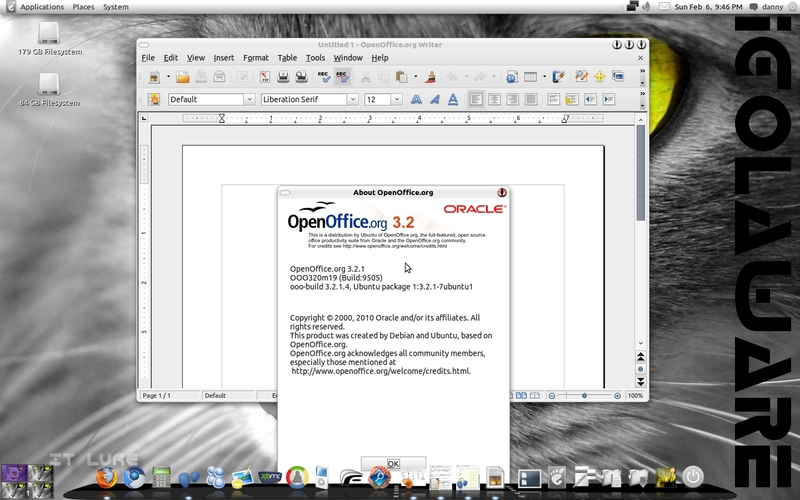 Office tasks will of course be taken care of inside the OpenOffice suite (hopefully LibreOffice by the next release) and Evolution is kept as the default emailing client. Sadly, there's no option to set a lower quality print mode, but it can be done, by adding some variables in the printer Properties window. I've yet to dig the Interwebs for a sure solution, as the printing is quite fast even on normal mode (ink consumption is of course the reason for setting a "draft" mode). The now retired HP Deskjet 3940 used to be SOOOO sluggish in Linux. There is one major bug in iGolaware: a segmentation fault when trying to start Chromium; it is especially annoying as it is set as the default browser so clicking a link inside, say, an IM window, won't do anything. Of course, a trip to Edit --> Preferences --> Advanced --> Check Now --> Yes in Firefox will help fix that. :D There were also a couple of Rhythmbox crashes, but it all seems to be in working order now. I was even able to link to my Ubuntu One account and fetch my music and files. Does it make a cat purr? It sure does! It even makes ME purr! Look, at the end of the day, it's still an Ubuntu-based distro so most of the credit should go to Ubuntu or even Debian, but iGolaware's developers did such a wonderful job of customizing the OS for home/office use that I can't help recommending it to any computer user, be they experienced or total newbies. Download iGolaware 2.0 here or try a SourceForge mirror.